It is International Women’s Day – an event that it is pretty easy to ignore in much of the oil and gas industry. Despite positive movements in the past five years, only 15 per cent of the energy workforce are women – but commentators are hopeful than in the wake of retirements due in the next few years, that percentage will exceed 25 per cent. Women are now present at every level of the oil and gas industry, and that is something to be both celebrated and built upon. Drawing on recent research, Oil & Gas IQ have complied some of the key facts, findings, and predictions you need to know this Friday. The report reveals that despite the global concern around the lack of female representation in energy, the status quo is finally being challenged. More women are claiming to work in a technical role than ever before, contrary to popular belief. There is also better representation of females in management, as well as a strong count in the younger age groups. 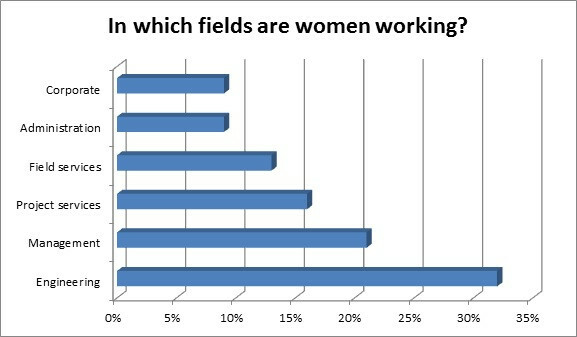 Of those women surveyed, the vast majority worked in oil and gas. Whilst the overall global energy sector is still behind in closing the overall gender gap that remains across all markets, oil and gas is showing real signs of progress – particularly considering how male-dominated the area has been for all of its history. 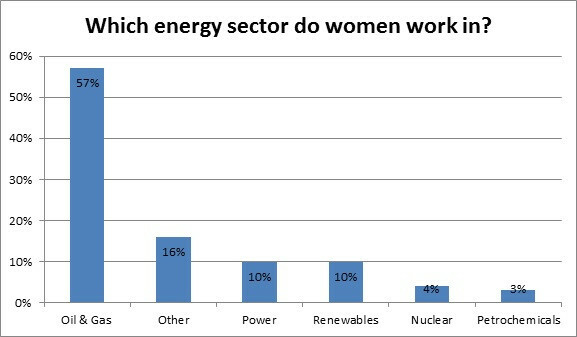 When looking at the US and UK in particular, both of which top the global charts for the number of women in energy, 81 per cent of British women in energy work in oil and gas, as do 93 per cent of those in America. Whilst it is worrying that there don’t appear to be many women having joined the profession within the last five years, it is encouraging to see how many are presumably in mid-level roles. Whilst there are a considerable number of senior women in oil and gas, unless these numbers are replenished with a significant increase in junior recruits, the gender disparity will persist. In 2010, studies revealed that the majority of women working in oil and gas were working in administrative and corporate roles – with a severe lack of women working in the fields of engineering and senior management. According to the latest report, these trends have been almost completely overturned – with engineering now being the primary area in which women are working. The improvement to managerial positions is also encouraging, as this may signal a shift in the make up of decision-making units, and therefore future recruitment drives. So what about the sort of lives these women are leading? The cliché would hold that they are unlikely to have children if they are the primary wage earners in their household – something that most oil and gas workers usually are. As is now clear, the majority of women working in oil and gas are the primary wage-earners in their families – something we would expect to be the case with male workers. No statistics currently exist for the proportion of men who are the primary earners, but we would still expect it to be higher than 66 per cent. A surprisingly low amount of the women surveyed had children, but this measure didn’t include age. If you adjust parameters to include just those who have been working for more than two decades in oil and gas, however, and the figure rises to 65 per cent – far closer to the rate outside of oil and gas. 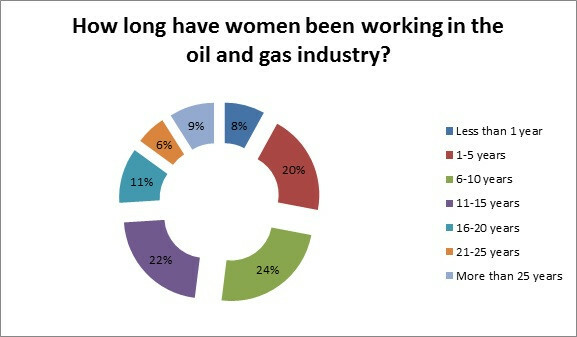 According to the oil and gas professionals surveyed, the greatest challenges to a career in oil and gas as a woman were a lack of suitable roles (31 per cent) and lack of mentorship (20 per cent). What this perhaps reveals is inadequate levels of flexibility around working hours, maternity leave, and travel arrangements – or simply a lack of progression due to saturated structures. If you are a woman working in oil and gas and want to get involved, please don’t hesitate to contact us at Oil & Gas IQ for all content, research, and editorial opportunities.